This project is a collection of people’s perceptions of Providence. 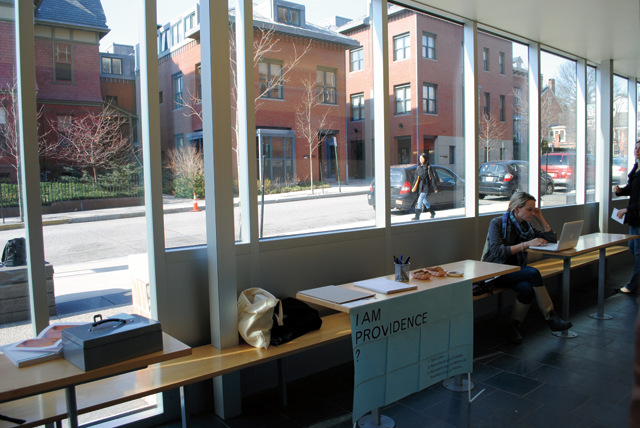 We asked college students at RISD and Brown University to represent their perception of Providence by any means. We gave them a blank sheet of paper, collected their responses, categorized and published them in a website. The site is a collective unofficial view of what Providence is like for a very specific portion of its citizens. 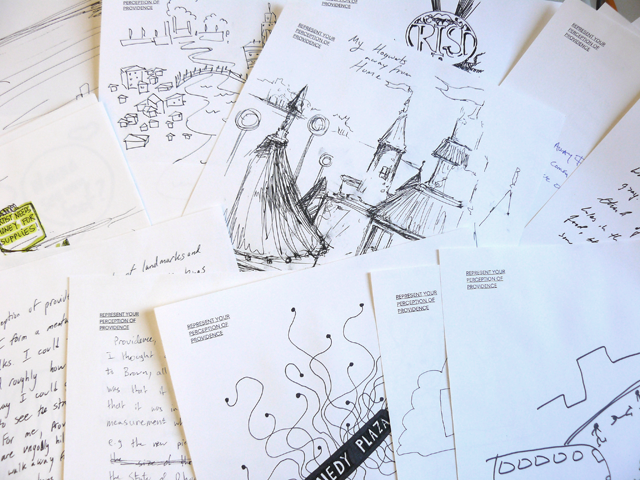 Is a tool for citizens to express their ideas, and recognize themselves as part of the city. The project could grow to allow for online submissions of people’s perceptions of the city. And could also be replied in many other places. Visit the website.